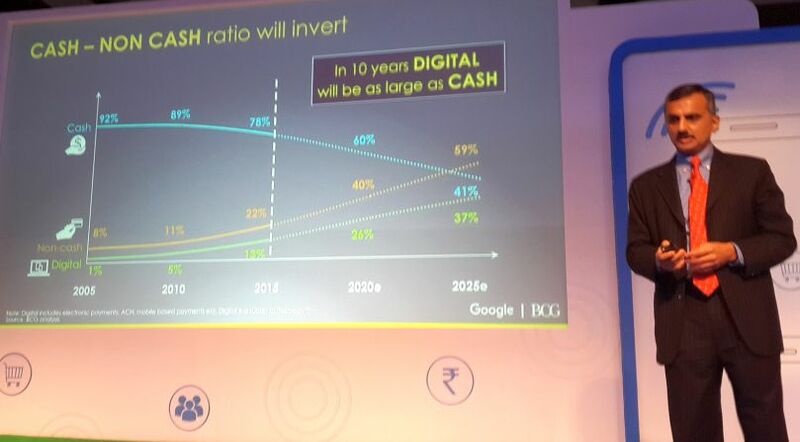 Mumbai, July 25, 2016: Highlighting the growth opportunity in the digital payments industry in India, Google and Boston Consulting Group (BCG) today launched a report, ‘Digital Payments 2020’. The report provides a comprehensive overview of the current transformation underway in digital payments and its impact on the overall payment landscape in India. The report is based on Nielsen’s qualitative and quantitative research with over 3,500 respondents, combined with BCG and Google’s industry intelligence. The report projects that by 2020, the size of digital payments industry in India will be $500 billion; contributing 15% to India’s GDP. 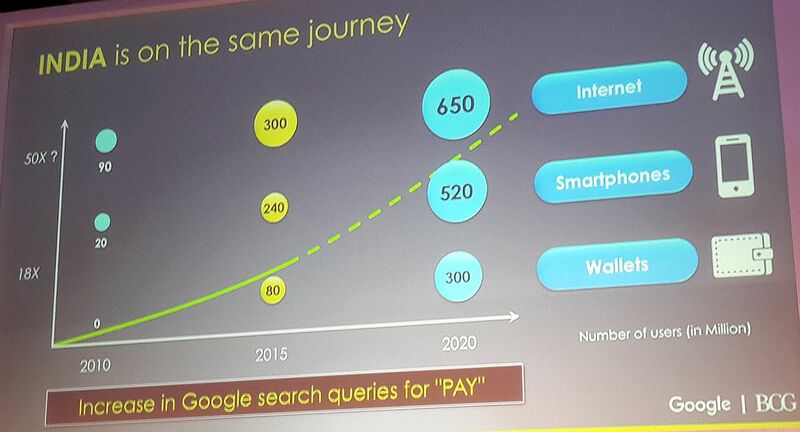 Further, by 2020, non-cash* contribution in the consumer payments segment will double to 40%. 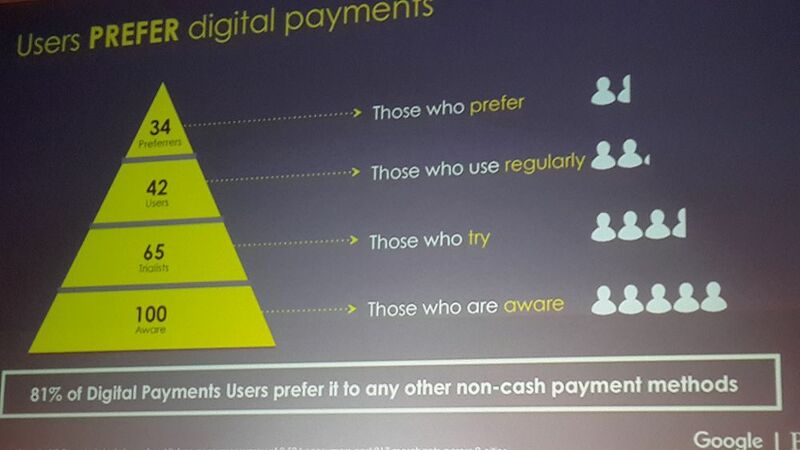 Already 81% of existing digital payment users prefer it to any other non-cash payment methods. 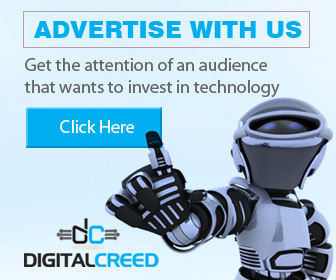 Online, shopping, payment of utility bills and buying movie tickets have emerged as the three top things that a user primarily interacts with. Further, the reports reveals that Indian consumers, are 90% as likely, to use digital payments for both online as well as offline transactions. 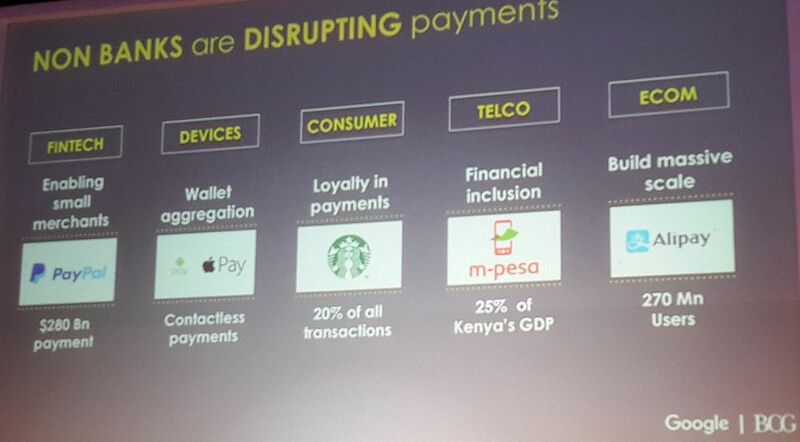 Over 60% of digital payments value will be contributed by offline points of sale such as unorganized retail, eateries, transport etc. “Global digital payments is undergoing rapid transformation and is set to grow four times in value by 2020. India is on an even more exponential growth trajectory. The smartphone explosion will usher in a new era in digital payments in India over the next few years that will see digital payments exceed $500Bn by 2020 and non-cash transactions exceed cash transactions by 2023” said Alpesh Shah, Senior Partner & Managing Director, The Boston Consulting Group, India. The report also highlights that micro-transactions will form a substantial portion of the industry, with over 50% of person-to-merchant transactions expected to be under INR 100. The report predicts that the value of remittances and money transfer that will pass through alternate digital payment instruments will double to 30% by 2020. The report identifies the various challenges that the digital payments ecosystem will need to overcome in order for the industry to grow to its potential. 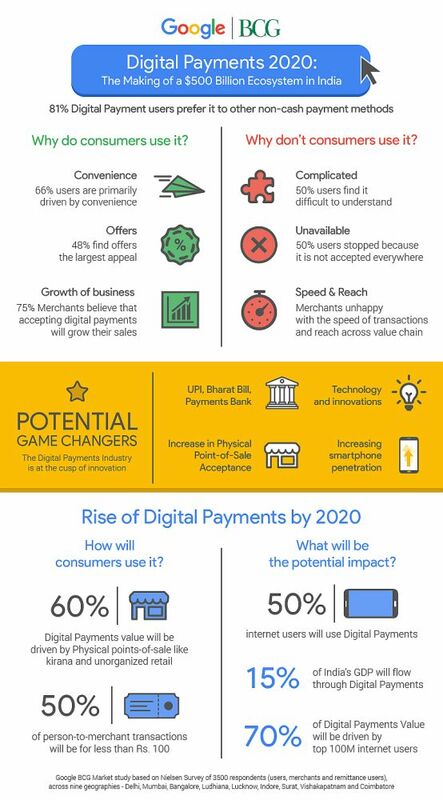 The research has shown that 1 of 2 non-users haven’t used digital payments because they found the product too complicated to understand and 61% of non-user merchants find it complex to use. Additionally, universality of acceptance of digital payment methods and merchant concerns around speed of transactions during peak hours have emerged as other inhibitors to usage. The report is based on a qualitative and quantitative research executed by Nielsen. Insights from this research were then combined with BCG’s proprietary sizing model as well as Google and BCG’s industry intelligence. For the purpose of the study, Nielsen conducted 14 group discussions, and 26 In-depth interviews for users and merchants in 3 cities (Mumbai, Lucknow, Delhi), and inputs from these were then used to form a comprehensive consumer and merchant quantitative survey. The consumer survey covered over 3,500 respondents (digital consumers – 1,516, remittance users – 917 and merchants – 917), across nine geographies – Delhi, Mumbai, Bangalore, Ludhiana, Lucknow, Indore, Surat, Vishakapatnam and Coimbatore.